She has extensive clinical experience in the addictions field and has worked as a clinician across both public and private mental health services and the drug and alcohol sector. She is a Senior Lecturer at Monash University, and is Chair of the Faculty of Addiction Psychiatry committee at the Royal Australian and New Zealand College of Psychiatrists (RANZCP). She has been an invited speaker at conferences on topics relating to substance use and mental health comorbidity, and regularly contributes to policy submissions on this topic. 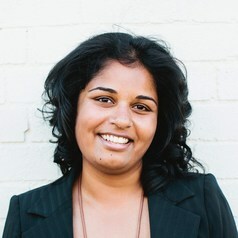 Dr Arunogiri’s research interests include methamphetamine use and mental health comorbidity, emerging harms associated with prescription medications, and women and addiction.